Amazing Whitening & Polishing Effect! Our flagship 30SS SHINE Electric Toothbrush, our most popular product, comes with a 2-speed power handle; low speed is 800 reciprocating strokes per minute and high speed is 1200 reciprocating strokes per minute. Unlike the irritating high sonic speed electric toothbrush models running at 30,000 movements per minute on the market today, the slow/gentle speed of 30 Second Smile allows bristles to comfortably clean hard to reach areas and in-between teeth. 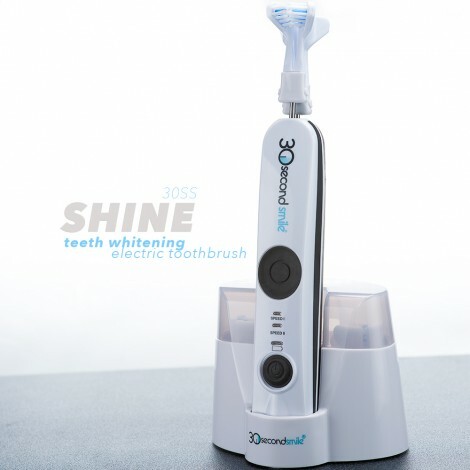 Our 30SS Shine has been rated as the best electric toothbrush for whitening by over 4000 customers like you. Designed to help you brush the way dentists and hygienists were taught in dental school using the scientific method called the BASS Technique. The Bass Technique states, “place the brush head at a 45-degree angle, bristles half on gums, half on teeth, using short quick back and forth strokes”. This is EXACTLY what 30 Second Smile delivers automatically every single time with no effort, skill, or dexterity on the part of the user, while removing more plaque than manual or sonic single-headed toothbrushes. Best Electric Toothbrush For Whitening bar none. Many dental professionals are calling 30 Second Smile the automated “BASS Technique”. ADA recommends the BASS Brushing Technique and has published on their website exactly what we have created with the 30 Second Smile Power Toothbrush. 30SS SHINE promotes whiter teeth by removing stain better than all other toothbrushes. In clinical studies in which 30SS was tested against the two leading electric toothbrushes, 30SS was shown to remove more stain than the other two products. Stain removal is the first step in getting whiter teeth. Best Electric Toothbrush for Whitening Teeth: No other brush compares to 30SS in stain removal because of the “can’t-miss” brushing concept built right into the 30SS brush head. Brushing perfection every day ultimately leads to whiter teeth. The automatic timer is designed with an intermittent 15-second alert prompting you to change sides for all around cleaning, to ensure an unmatched superior cleaning without those irritating sonic vibrations. LED indicator lights on the power handle illuminate showing either low or high speed, and lights up when placed in charging stand to indicate your 30 Second Smile is charging. A fully charged power handle without the charger is good for approximately 20 days, brushing 2 times a day. Advanced Battery. Airport Safety Compliant. Whitening Electric Toothbrush: 30 Second Smile Handle is powered by Nickel Metal Hydride (Ni-MH) batteries and is safe for air travel. First time charging the power handle will take 12 hours. Thereafter it’s recommended to store the handle on the charger at all times. Don’t be alarmed, it’s just a micro trickle charge. The battery has a lifespan of approximately 5 years. Speed 1: Gentle 850-900 strokes per minute. Speed 2: invigorating cleansing action with 1,100-1,200 strokes per minute. Both brushing speeds precisely mimic the famous BASS brushing technique taught in dental schools for decades. Both speeds provide maximum cleaning performance without the irritating high frequency vibration associated with other power toothbrushes. 30 Second Smile is the only power toothbrush tested and awarded the Arthritis Foundation Ease of Use commendation. 30 Second is so intelligent, it does everything for you while you simply bite into the brush head. Your teeth take over and properly position the brush head, while the ergonomic handle delivers the highly acclaimed BASS brushing technique automatically. 30 Second it truly the only SMART toothbrush. Battery is rechargeable by induction process. The battery is the ultra-safe Nickel-Metal-Hydride (Ni-MH) and will last up to 3 weeks without a re-charge. 30 Second Smile has specifically stayed clear of using potentially dangerous Lithium ION batteries. The power handle is normally stored in the counter-top induction charging module that provides a micro-trickle charge. Input to the charging stand is 100/240 global voltage while the induction charge output is a safe 5 volts. warranty. The warranty period for replacement product expires at the end of the warranty period for the originally purchased product. and clean this product as specified in this product manual. This warranty applies only to the original purchaser of the 30 Second Smile ® toothbrush. Warranty is void if the product is used in the shower or other exposure to running water. Some states do not allow limitations on the duration of implied warranties, so the above limitation may not apply to you. While this warranty gives you specific legal rights, you may also have other rights which may vary from state to state. Do not return the product without first obtaining return authorization from customer service at 800-431-1902 or email smileteam@30secondsmile.com. To obtain a return authorization under warranty, see below. You can register your 30 Second Smile by clicking here. Any questions please send an email to: info@30secondsmile.com. Please fill out so we have an official record of your date of purchase in case of a replacement during the warranty period. Please retain your original invoice for product warranty. Register your 30 Second Smile Rechargeable Electric Toothbrush to receive a $5 coupon for 30 Second Smile Replacement Brush Heads. Our most popular blue softest bristle brush head designed for all seasoned users or those with longer teeth. Adults with great oral health can begin with these brush heads which provide an extra row of bristles on the outer edge of brush head for extra reach up onto gums. Provides an invigorating massage for maximum blood flow important for healthy pink gums. Slightly larger than Standard Soft Brush Head. Blue bristles identify the Standard Soft Brush Head which delivers less sensitive users a good cleaning while remaining gentle. Adults with short teeth and great oral health can begin with these brush heads. Slightly smaller brush head than Extra Reach Standard Soft. Red bristles identify our softest bristle brush heads designed for first-time users and for those with shorter teeth and/or sensitive gums. We recommend this brush for first time users because of the unique reciprocating brush head movement. You’ve probably never brushed in this manner before and this brush head allows your gums to become acclimated to this type of effective brushing movement. First time users can graduate to a Standard Soft Brush Head within a week or 2 if desired. Smaller than Extra Reach Ultra Soft Brush Head. As an adult, do you have a very small mouth which makes it hard to open wide? Our small brush heads were designed for just this situation. Our 30 Second Smile Ultra Soft Brush Heads are more comfortable than regular single headed manual or sonic toothbrushes. The bite-in feature requires a smaller opening for through cleaning without uncomfortable wide mouth stretching. These toothbrush heads are even smaller and extra soft, just for kids or adults with small mouths. Our child specific brush heads were designed for tender young gums and sensitive teeth for gently cleaning and massaging. If your children are under the age of 10, remember most dentists recommend only allowing your children to brush while supervised. 1. How to care for your 30 Second Smile? 2. Does 30 Second Smile use Sonic technology? No, 30 Second Smile is a totally new technology. Toothbrushes have been around for a long time, and unfortunately, so have cavities and gum disease. The primary cause of cavities and gum disease is improper brushing (human error). Numerous studies show that if a person brushes properly and removes the bacterial plaque from the teeth and along the gum lines, they will significantly reduce the potential for cavities or gum disease. The secret to high quality oral care is not bristles moving at “Sonic Speed”. The solution is to use the proper technique to ensure every surface of every tooth is cleaned and the gums properly massaged. “Can’t make a mistake” technology by 30 Second Smile automatically ensures proper oral care with its patented micro-brushes with each and every use. You simply “BITE & GUIDE”, and receive the level of oral care you need in ¼ the time required by all other power toothbrushes. 3. Will 30 Second Smile Fit in my mouth? Absolutely! 30 Second Smile is surprisingly comfortable. We offer a variety of brush heads to fit your needs. As an example, adults with small mouths can use regular ultra soft or kids brush heads. 4. How do I maneuver the brush heads on my teeth? After wetting the bristles, apply toothpaste to both sets of bristles if desired. Before putting the brush into your mouth turn it on by pressing the power button. Press once for speed 1 (low speed) and twice for speed 2 (high speed). Once the power button is pressed the LED light will light up. One light indicates the unit is on speed 1 , 2 lights indicate the unit is on speed 2. The brush handle has been ergonomically designed for ease of use. There are two comfort grips where you place your index finger and thumb to balance and maneuver the brush heads during use. You do not need to grip the handle tightly as the brush will do all the work. You simply guide the brush along the surface of the teeth. Once the power button is pressed, then bite into moving bristles with your front teeth. You will feel the brush massaging the gums (NOTE: do not bite too hard. Biting too hard might damage your brush.) Allow your teeth to position the brush head bristles, do not force it. All you have to do is “BITE & GUIDE”. Be sure the brush heads do not bump teeth. 5. Does 30 Second Smile have a timer? The 30 Second Smile Toothbrush comes with a built-in timer function. When you first start your 30 Second Smile on any speed, the brush will run for 15 seconds then will momentarily change speed to allow you to change to the other side of your mouth. The momentarily speed will occur every 15 seconds. To stop the brush, push the power button or simply place the handle in the charging base after cleaning. 6. How long do I need to charge the 30 Second Smile? The first thing you should do after unpacking your 30 Second Smile is plug the charging base into an outlet, and charge the handle for approximately 12 hours. The battery will be completely charged within a 12-hour period. 7. How do I know the handle is charging? 8. How long will the handle keeps its charge? Your 30 Second Smile Toothbrush can hold a charge for up to 2 weeks of use, but it is recommended to place the toothbrush back onto the charging base after each use. 9. Should I leave the 30SS handle on the charging base all the time? 10. Do I have to take my charging base when I travel? 11. How do I install the brush heads? Install brush heads back to back, one at a time, with bristles facing outward or away from each other. Align and push brushes onto stainless metal pins until it snaps into place. 12. Why are the stainless steel pins on the handle uneven? The tips of the stainless steel pins are rarely aligned. Depending on where the brush head starts/stops, one pin will normally be longer than the other. 13. How do I remove the brush heads? Remove brush heads, one at a time, by pushing the release button, located on the each side of the brush heads, lift and pull away from the handle to remove. Repeat with 2nd brush head. 14. Which brush heads should I start with and at what speed? For adults: For the first several weeks, use the red ultra soft brush head at speed one. Use speed one by pressing the power button once. 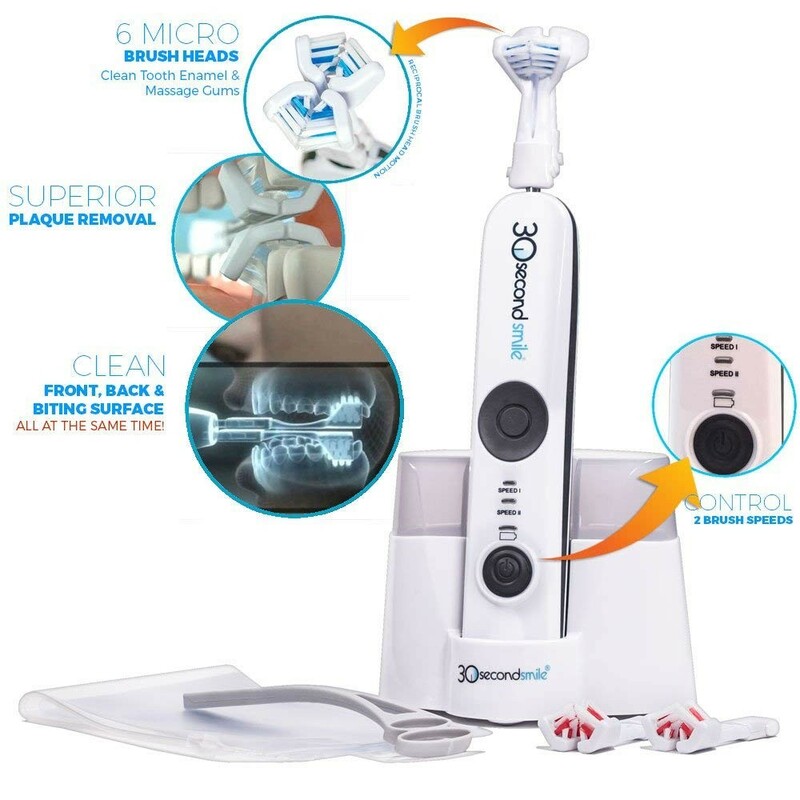 After your gums become accustomed to your 30 Second Smile Toothbrush, you can switch to the blue standard brush head and adjust to speed 2 by pressing the power button twice, which is even more effective in plaque removal and gum simulation. For children under 10, it is recommended to use the red kids brush head at speed 1. 15. What are the colored dots in my 30 Second Smile Kit? These dots are used to identify your brush heads from someone else if you are sharing a toothbrush handle. Place the dots on the flat white surface at the bottom of the bristle side of the brush heads. 16. At what speed does 30 Second Smile Operate? We found through extensive testing that there is an ideal stroke speed for brushing. The ideal speed is 810 strokes per minute. Why? Because this speed enables the bristle tips to penetrate and clean between teeth, removing harmful particles and bacteria from between the users teeth. This speed also provides a stimulating and comfortable massage of the gums. 17. Should I still floss? Yes, continue to floss as a part of your dental hygiene regiment. 18. Can I use only one head? No. It is essential that both heads are used, because the movement of each head reciprocates and balances the movement of the other, making it possible for all six surfaces of the teeth to be cleaned simultaneously while also massaging the gums. The brush heads attach to the handle via the metal pins. If both heads are not attached, one of the pins would be exposed and will cause damage to the teeth or gums. 19. What comes with the 30 Second Smile Kit? It includes: (1) 30 Second Smile Electric Rechargeable Handle, (1) International Charging Base (120/240v. 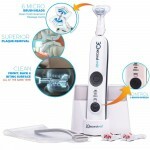 ), with Storage for 2 Sets of Brush Heads, (1) Regular Ultra Soft Brush Head, (1) Extra Reach Standard Soft Brush Heads, (1) Tongue Scraper, (1) Travel Pouch and a User Manual with instruction on “How To Use” 30 Second Smile. 20. Why is 30 Second Smile different than other toothbrushes? Proper oral care is dependent upon eliminating human error. 80% of the US adult population suffers from some degree of gum disease! 30 Second Smile operates with new, advanced technology. The multi-micro brushes you see on the 30 Second Smile are designed to remove human error and ensure you receive proper brushing every time. As for the size and design, each one of those micro-brushes is ½ the size of the single headed brush you are forced to maneuver throughout your mouth when brushing the old fashioned way. Yes, the 21st century technology of 30 Second Smile looks different than the old fashioned single-headed brushes. But the real difference can only be appreciated by using 30 Second Smile and experiencing a new level of oral care that is fast and automatic … every time you put it in your mouth. 21. How can I brush my teeth in 30 seconds? 30 seconds using the 30 Second Smile is equivalent to 3 minutes with any other single-headed brush. That’s 6 micro-brush heads touching 6 tooth surfaces at once. That calculates to 6 micro-brush heads times 30 seconds equals 180 seconds, that’s 3 minutes. 22. Can I share my 30 Second Smile handle with a family member? 23. How do I care for my 30 Second Smile? While toothbrush handle is on, rinse off brush heads under running water after each use and be sure all toothpaste is removed. Never immerse handle under running water. Shake well and dry off with a towel and place on charging base, with the BLUE LIGHT facing forward. Make sure charging base is clean at all times in order for the toothbrush handle to charge properly. Periodically clean handle with a towel with a small amount of rubbing alcohol. Remove brush heads often and clean stainless steel pins with rubbing alcohol to remove toothpaste debris collected in the niches. You can store brush heads in the storage area on the charging base. 24. What kind of battery is in the 30 Second Smile? NiMH – Nickel Metal Hydride Rechargeable Battery. 25. How often do I need to replace the brush heads? Brush heads should be replaced every 90 days. This is an industry-wide standard because after a few months, bristles start to become splayed and frayed, and consequently become much less effective over time. Not only are old brush-heads ineffective, they may harbor harmful bacteria. Sick people should change their brush-heads at the beginning of an illness and after they feel better. 26. Why do Orthodontic brush heads needing to be changed more frequently than the regular brush heads? 27. Which brush head is right for me? Red bristles identify the Ultra Soft head…designed for 1st time users, and users with sensitive teeth and/or gums. These brush heads should be used when you initially start using 30 Second Smile. Blue bristles identify the Soft heads – delivering less sensitive users a good cleaning while remaining gentle. The “Extra Reach” Brush Head have an extra row of bristles, enabling users with gum recession (or longer teeth) to still clean the gum line. Users without recession report superior gum stimulation as a result of the extra row of bristles reaching higher on the gums. These brush heads come in “Ultra Soft” and “Standard Soft”. Kids 10 years and under should use the brush specifically designed for kids. 30 Second Smile Orthodontic Specific Brush Head has a special bristle configuration to not only clean the teeth and gums like our standard heads, but also clean the hard to reach areas around dental brackets. 28. Are the bristles soft? Yes – in fact, our standard soft is softer than typical soft brushes found on other toothbrushes. We also have an Ultra Soft brush for people with very sensitive gums. 29. Color in the bristles – what is it made from? All bristle colors used comply with US Federal Drug Administration Regulation 21 CFR 178.3297 – colorant levels below 1% by weight and no heavy metal based pigments. All plastics and filaments have been tested for extraction and no significant colorant extraction shown. All colors comply with all applicable standards in Europe and to the US Food, Drug and Cosmetic Act. 30. I need a handle with 2 brushing modes. The 30 Second Smile Electric Rechargeable Toothbrush has two brushing speeds: Speed 1 (low -800 reciprocating strokes per minute) and Speed 2 (high -1200 reciprocating strokes per minute). 31. How will 30 Second Smile benefit my family? 30 Second Smile is ideal for any member of the family – young children (ages 5+), teens, college students, adults and aging adults. Oral care is a vital part of our overall health. In fact, the US Surgeon General stated in 2003, “If your mouth is not healthy, your body will not be healthy.” With 30 Second Smile, every member of your family will receive proper oral care daily. Often times, aging adults may have a problem using a traditional toothbrush to properly brush. 30 Second Smile will do the job for them. And that means whiter teeth, healthier gums, fresher breath, and better overall health for all family members. It also means a better partnership with your dental professional. And while this can mean great savings in dental bills, the ultimate prize is better health and a family with bright, beautiful, healthy smiles. 32. Is 30 Second Smile safe for children, and does it require any special brushes? Not only do we have special brushes specifically designed for kids, but clinical studies have shown 30 Second Smile to be totally safe for anyone seeking a higher quality of oral hygiene. We hear from parents all the time who tell us their kids love using 30 Second Smile. More importantly, parents tell us that they love 30 Second Smile because they no longer have to stand over their children to make sure they are properly brushing their teeth. They tell us, “If I hear the 30 Second Smile, I know my child is getting proper oral care.” And that is what we call, “The 30 Second Smile Difference”. The patented micro-brush heads are ideal for children’s use. They are small enough to easily fit into their mouth, and 30 Second Smile is safe and easy to use. 33. Braces – does it clean effectively around and under braces? The answer is YES with our Orthodontic-specific brush head! Most people who wear braces find it difficult to maneuver a conventional single-headed brush around the braces. As a result, far too often their oral hygiene suffers. The specially designed 30 Second Smile Orthodontic Brush Head makes the task easy and effective by automatically positioning brush heads to provide a proper cleaning of the teeth and massaging of the gums. 34. My gums are sore and/or bleeding! What’s happening? Believe it or not this is not a bad sign. Prior to using 30 Second Smile, most people do not take the time nor exercise the dexterity to maneuver a single headed power or manual brush in such a way that they clean all surfaces of the teeth and massage the gums. If the teeth are not properly cleaned and the gums are not massaged, the gums can become inflamed or infected. 30 Second Smile is designed to reach the neglected or hard to reach areas of the gums. As a result, the user can experience some bleeding when these inflamed or infected areas are stimulated. Through continued use of 30 Second Smile, the neglected area(s) of the gums will be restored to health, and bleeding and any discomfort (which is negligible) will cease. To assist you in restoring your gums to a higher level of health, every 30 Second Smile comes with Ultra Soft RED BRISTLES. The Ultra Soft Red Bristles should be used initially while 30 Second Smile restores your gums to health. After that, you can use the Standard Soft Brushes for a more penetrating cleansing of the teeth and gum massage. 35. Can 30 Second Smile cause gum recession? No. Most people have some level of gingivitis which is the early stage of gum disease. Due to plaque irritation and infection of the gum tissue, swelling and inflammation may be present prior to using 30 Second Smile. When infected, the gum tissue often feels and appears to be red, spongy, or puffy. The amazing cleaning qualities of 30 Second Smile will penetrate under the gums and between the teeth much better. As a result, you may experience bleeding initially for several day up to a week. After this time, the swelling will likely go down, and thus the gums will become pink, tight, and healthier. As gum inflammation is reduced, it will reveal more of the tooth which should not be confused with gum recession. With gum restoration comes better health! 36. Will 30 Second Smile cause Abrasion? NOPE! Automated Optimum Pressure = Zero Abrasion. With 30 Second Smile, it is impossible to exert too much pressure or brush too vigorously because the user is exerting ZERO force. The advanced, wrap-around head configuration provides automated, EQUALIZED gentle pressure on the inner and outer surfaces. The result: no chance of tooth or gum abrasion. The ‘arms’ of the brush head flex, to provide the perfect pressure for both the front (thinner) teeth, as well as the molars. The resilient arms provide a pressure that is not too aggressive to cause abrasion. 37. Can I use this brush with crowns and bridges? There are two types of bridges: fixed, and removable. A fixed partial denture is a “bridge” and is permanently cemented in the mouth to replace missing teeth; a removable partial denture is a “partial” and can be placed in and taken out. Because it is retained by metal clasps around the teeth, our dental professional associates advice is for users is to remove the bridge before using 30 Second Smile, to prevent dislodging of the partial and to prevent the bristles from getting caught under the retention clasps, and coming out. 38. How long do people normally brush? Considering that the average brushing time in the general population is 37 seconds, the 30 Second Smile used for 30 seconds has the potential to achieve improved gingival health with better compliance within the time allotted. 39. Can I travel internationally with my 30 Second Smile? Absolutely! Our units come with 100-240V international charger. All you need is an adapter that allows our plug to be inserted into the female end and the male end of the adapter matches the configuration of their specific outlet in the country you are in. 40. How can you contact us? Our toll-free number is 800-431-1902. We are located in Southern California and our hours are Monday – Friday 8am-5pm PST. You can also email us at smileteam@30secondsmile.com or, live chat on our website from 9am-9pm at www.30secondsmile.com. We are closed all major holidays. 41. Do you offer any discounts? 42. What is your refund policy? A 60-day Money Back Guarantee, no questions asked. 43. 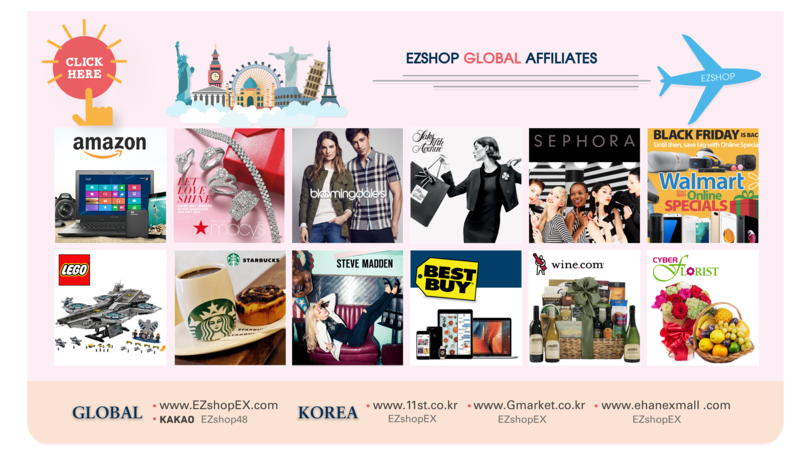 Do you have distributors in other countries? Not at this time but we are working on it. 44. Do I need to recycle my battery handle? If you are able to recycle, please do. 45. Do I need toothpaste? It’s your preference. Wet brush heads and apply a pea-sized dollop of toothpaste to each side of bristles (top and bottom), right where the angled bristles meet. The toothpaste applied through the effective brushing action of 30 Second Smile will assist in removing the bacterial plaque and stains. 46. How can I clean my tongue? 30 Second Smile comes with a tongue cleaner. Make sure to drag scraper downward on tongue, back to front. Bacteria not removed from tongue, just transfers right back onto your teeth. 47. What kinds of 30 Second Smile accessories do you offer and where can I purchase them.? At this time we offer a UV Sanitizer, a Travel Manual Toothbrush, Hard Travel Case (while supplies last) in addition to, Tongue Scrapers and Soft Travel Pouches. The UV Sanitizer also serves as storage for 2 sets of brush heads while the Manual Travel Brush uses one side of the double brush heads. The Hard Travel Case will accommodate the power handle and a couple brush heads. These items can be purchased by calling 1-800-431-1902. 48. Is this technology patented? We currently have fifteen patents and four pending patent applications. This strong foundation will help us reach global markets. 49. Was is the basis of your toothbrush claims to fix gum problems? User and dental professional feedback has shown that by using 30SS, the process of gum disease reversal begins in as little as 2 weeks. Continued use has shown gum disease reversal in as little as 2 months. 50. How can I buy in Canada? 51. Are all you handles compatible with all charger from previous models? No. All of our handles are designed for each specific charging base. 52. Are all brush heads compatible/interchangeable with all handles from previous models? Yes. All of our brush heads are interchangeable. You can use them on any 30 Second Smile handle. 53. How much does the handle weigh? 54. Do you make a charger that will charge two handles at one time? No. Our charging base is designed for one handle. 55. Which brush head is the softest? The softest brush head we offer are the RED Ultra Soft brush heads. These come in a regular, extra reach, or kids size. 56. I have a small mouth which brush head should I buy? For a small mouth we recommend the Kids/Adult Extra Small & Extra Soft. 57. Which brush head is the smallest? The Kids/Adult Extra Small & Extra Soft Brush Head is the softest and smallest brush head we offer. 58. Do you have manual brushes? Yes. We have a Travelbrush that uses one of the two brush heads on the handle. 59. Can 2 people use the same handle? Yes. You can purchase one 30SS Electric Toothbrush and add on a “Starter Pack”. The “Starter Pack” comes with the same brush heads that come packaged with the unit and a tongue scraper. When you buy a complete unit, there are pairs of small colored dots to place on brush heads to tell them apart. When you start to use the 30SS handle, just replace the brush heads with your individual pair of colored dots. You can store each other’s brush heads in the brush head compartment on the charging base. 60. Does it have pressure sensor like oral b? Yes. When you bite too hard into the brush head while brushing, the unit will turn off. 61. Can I take my charger abroad, it is dual voltage? There are some 30 SS units specifically made for the USA while all others have global chargers. Please check the label adhered to bottom of charger. If it reads US 120V-60Hz, this is designated for USA ONLY. For global use (outside USA) use a 30SS charger labeled 100/240V ONLY. Depending on which country you are traveling to, you will need to purchase a plug converter. 62. Does the charger for my 30SS electric toothbrush draw power without the toothbrush handle on it? No, and when the handle is in the charging stand it is drawing a micro trickle charge. 63. Do you have travel cases? 64. How do I register my brush outside the US? You can register your product on our website at www.30secondsmile.com.